Lake Griffin Harbor in Leesburg, FL, is one of many 55 communities in the region. What makes our 55+ retirement community stand out from all the others is, first, our incredible lakeside location. Lake Griffin Harbor is a 65-acre residential community that directly abuts the southern shore of beautiful Lake Griffin, the eighth largest lake in Florida and one of nine lakes that form the Harris Chain of Lakes. Though widely known as an excellent bass fishery, Lake Griffin is also inhabited by keeper-size bluegill, speckled perch, and catfish. Unlike most other 55 communities in FL, Lake Griffin Harbor is a place where you can fish and boat to your heart’s content. We offer a 55-slip marina, onsite boat ramp, fishing pier, and fenced-in boat storage facility. We have all the facilities that you need in order spend quality time on the water during your retirement. All you have to do is supply the boat. A spectacular location, combined with resort-style amenities, makes Lake Griffin Harbor one of the premier 55 communities in the state of FL. But, why take our word for it? Plan a visit to Lake Griffin Harbor and see for yourself all the great things that our community offers to retirees 55 and over. 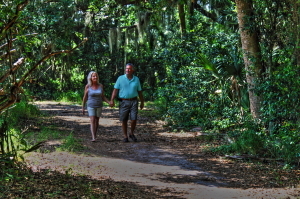 We think you will come to realize that we compare quite favorably to other 55 communities in Central FL.